Electing to have a long term credit card terminal agreement will minimise your payment solution monthly running costs. Hiring a card machine through a long term agreement makes business partners more reliable. It is also worth bearing in mind that by having a long term credit card terminal hire within your business, you are providing alternative payment options to any customers who wish to pay, as you’re effectively remaining “open” 24hrs a day. Reduce your card payment machine monthly running costs by choosing a long term rental agreement with Wireless Terminal Solutions. We can cater for long term rentals on all types of credit card machines including the ever popular GPRS mobile terminal, portable Bluetooth card terminal which has a dual base and can connect via PSTN or IP, countertop terminal or Wi-Fi card machine. The long term hire option on our card terminals provides a really cost effective solution and we have agreements available to suit everyone and you can pay on a monthly or quarterly basis. Wireless Terminal Solutions offer the latest Ingenico iWL251 contactless card machine on a cost effective long term rental period. The Ingenico iWL251 is contactless enabled and also allows payment to be made from the newly launched Apple Pay solution. The card terminal is ideal for businesses on the move, or if you attend multiple events over the course of the year. Wireless Terminal Solutions understand your requirements before selecting the correct SIM card for you. We also provide a site survey to ensure the best connectivity in your area. More and more customers are looking to pay by card, and having a mobile card terminal by your side will allow your business to optimise revenue opportunities with 24/7 wireless connectivity. The robust Ingenico card terminal comes available with additional extras such as an in-car charger or official carry case for customers needing that added protection, and the compact-sized card terminal comes with a renowned long-life battery and fast printer giving you peace of mind. Our core business specialises in short term and long term hire agreements for card payment machines, and we are a contractor to the majority of the UK’s largest event organisers and exhibitions. Our understanding of GPRS card terminals is unrivalled, and our team of experts will deliver a payment solution to exceed your expectations. Wireless Terminal Solutions offer the latest Ingenico IWL 252 contactless enabled Bluetooth card terminal. This payment machine offers complete flexibility for the end user as it can be connected via IP or PSTN (Internet or Phone line). Avoiding downtime is paramount especially in a retail or hospitality setting and if one of the above connections fails, the card machine can simply be connected to the opposite connection to ensure you are back up and running in a matter of moments. The Ingenico iWL 252 portable terminal works via a Bluetooth connection between the card terminal and the base station. This connection is made before the card terminal is deployed, and it can be remotely used from the base station which is ideal for restaurants, nightclubs, retail outlets, cafés or even events and exhibition settings. This card terminal is compatible to accept contactless payments up to the value of £30. This lightweight and compact Bluetooth card terminal is faithful if your business offers a to-the-table service, as it can be easily taken to your customers for payments. Reinvent the way your business accepts card payments with the Bluetooth card terminal. Wireless Terminal Solutions offer the latest Ingenico ICT 250 Contactless enabled static terminal often referred to as a ‘countertop card terminal’. Like the Ingenico IWL252, this machine can connect via IP or PSTN and is perfect for any retail outlet trading in the UK and needing to take credit or debit card payments. The payment terminal is lightweight, and is still the popular choice amongst business owners in the retail sector, where its slick and user friendly design can cope with robust daily use. The countertop card terminal accepts all electronic payment methods including NFC, contactless EMV and Chip & PIN. One key design feature of this card machine is that apart from being great as a standalone terminal, Wireless Terminal Solutions can potentially integrate the terminal with ePOS equipment. Please speak to a representative if you’re looking for an integrated payment facility. We also provide the terminal mount that offers a more professional look when installing the card terminals on a counter and this can be found in our award winning online store. The Ingenico ICT 250 is available on a rental agreement from as little as 12 months, and we are confident of offering this solution cheaper than any other mobile terminal supplier in the UK. Wireless Terminal Solutions are proud to offer the Ingenico IWL258 Wi-Fi Card terminal. The Wi-Fi handset was introduced in 2015, being eagerly anticipated by merchants in the payment industry, and has been a real success. It delivers a flexible way to process payments quickly and securely for both staff and customers alike. This credit and debit card machine connects in a similar way to a mobile phone – all that needs to be done is to add the SSID and password to the device and the connection will be complete. Best of all it will work anywhere where you have a SSID Wi-Fi connection. The Ingenico iWL258 is accredited to work with every major UK merchant acquirer, and offers a great payment solution for any type of retail outlet looking for a card terminal that is not dependant on an IP or PSTN connection. The Wi-Fi card machine’s popularity is growing year on year and accepts all major debit and credit cards, along with contactless, NFC and the traditional Chip & PIN. SME’s may have limited access to phone lines or an internet connection, so this terminal would be a perfect solution for those customers. We provide the Wi-Fi card machine on flexible contract terms and can you set up with your new card terminal in a matter of days. At Wireless Terminal Solutions, customer service is at the heart of what we do – we believe in making long-term rental of our card machines as simple and easy as possible. When you receive a quote from us, everything is provided on a simple, concise email detailing the length of the hire agreement, the credit card machine you have chosen and the price you will pay on a monthly or quarterly basis. Unlike some companies who use third parties to supply credit and debit card payment facilities, all our card terminals are deployed internally from our Surrey offices. There is no hiding we are passionate about payments! Your success is our success and without you we don’t have a business model. We want your business to thrive and flourish and our goal is to help you take your business to the next level with our ePOS and card payment solutions. We have over 40 years combined experience in the payments industry, and for the last 10 we have been immersed in enabling and supporting companies in the way they accept and process payments. When you choose us, you are choosing a reputable supplier that delivers the latest in payment technologies at affordable prices, which are among the lowest across the payment industry. With any long term hire agreement, we provide the customer with a designated account manager who will look after all aspects relating to your account – including card terminal deployment and merchant services. You can also rest in the knowledge that we provide technical support outside of normal working hours on a UK-based support number. Our in-house technical support service attempts to help the user solve specific problems relating to the card machine or ePOS system. We aim to deliver technical assistance that resolves your issue quickly and efficiently. Our technical team are constantly developing and training to support customers over a wide range of card payment technical issues and disciplines. Wireless Terminal Solutions will help you install any products and services, and provide the necessary training for you and your staff to start using them straight away. We will make sure you’re always one step ahead by using the right card payment products and services for your business. If you’ve read through this, and you’re unsure whether a long term card machine rental is suitable for you, then you might want to consider purchasing a card terminal outright. Some customers like to purchase a credit card machine outright to best fit their business model. 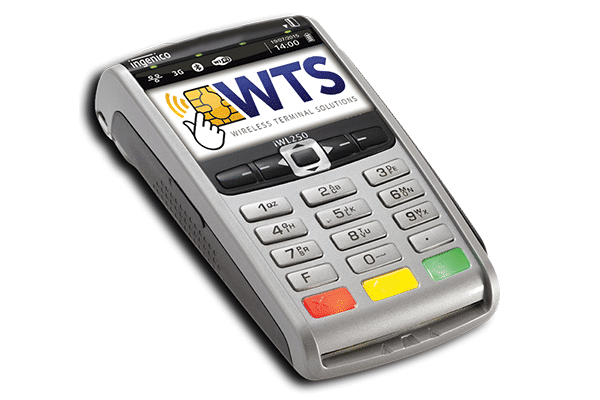 Wireless Terminal Solutions are able to provide companies the option to purchase credit card machines outright (please note GPRS mobile card terminals come with a small monthly fee for airtime calls and technical support). All purchased wireless card machines come with FREE set up, and free dispatch. Don’t forget to order all your card terminal accessories as well. Visit our expansive online store that is stockpiled with an expansive selection of card machine accessories. Alternatively you can speak with a member of the Wireless team to discuss your card payment accessory requirement on 0345 459 9984. 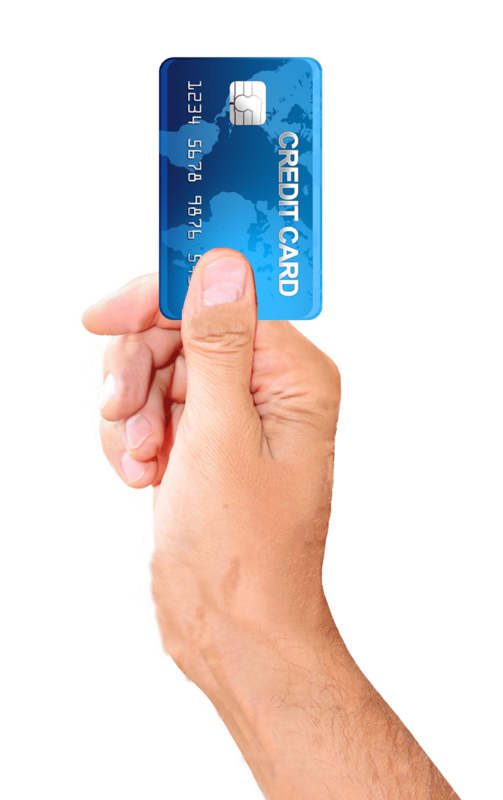 We can offer you fast, secure, reliable cost effective card terminals on a long term rental to fit your business. Our UK-based team look forward to serving your business with its ePOS and card payment facilities. We know it’s good to have options. That’s why we offer our customers flexible short or long term card machine rental options for our credit and debit card machines. You can minimise your payment solution monthly running costs by choosing a long term PDQ machine agreement with us. We offer competitive pricing on all types of card terminals to suit your requirements, with cost effective agreements ranging from 1-4 years rental period. Wireless Terminal Solutions offer the latest in payment card machine technology, and all our handsets are contactless enabled. The payment industry is saturated with multiple companies promising fulfilment of contactless technology with very few actually being able to deliver. Being an independent hardware reseller to Ingenico UK means our friendly team can offer flexibility to match your company’s requirements, which some of the banks simply cannot offer. Card machines are the core of our business, and it takes precedence over everything else we do. If you are considering going to your bank for a long term card machine rental, it might be worth heeding that many of the merchant banks now outsource their card machine rentals to third parties, and this may be reflected in a vastly inflated price. If you do take a long term rental on a card machine but then encounter a peak period, don’t fear we offer existing customers who have a long term rental in place, cost effective prices on short term rentals. If you are fast approaching a peak trading period, hiring a short term debit card terminal to run alongside your long term card terminal provides a fantastic contingency plan to support you.